Markova, Lyudmila. “Changes in Social Epistemology.” Social Epistemology Review and Reply Collective 7, no. 7 (2018): 15-18. 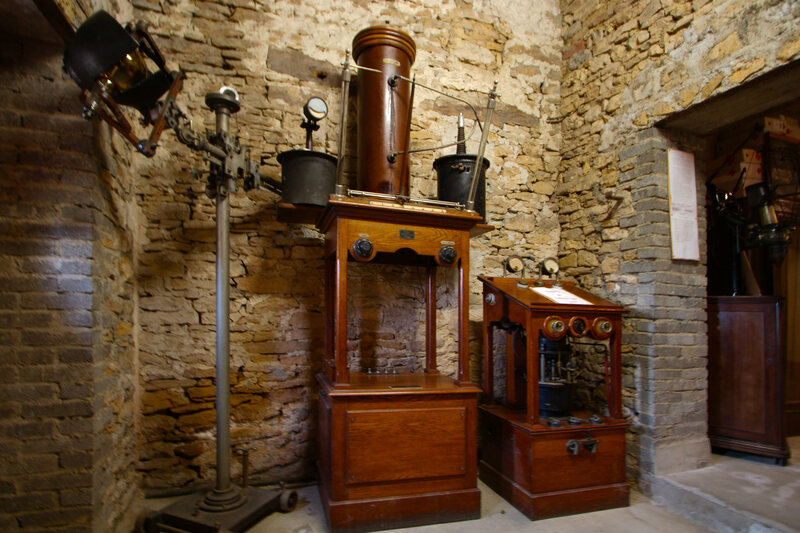 One of the original experimental machines of André-Marie Ampère, whose contributions to understanding electromagnetism would help overthrow the classical model of science’s metaphysics. Scientific thinking had as its logic a model of classical thinking, from the 1700’s right up to the scientific revolution of the beginning of the last century. The transformations that have taken place in science inevitably led to changes in thinking as such. We can say that the most important feature of philosophy in the 2010’s is the presence of sociality in the results obtained by a scientist. This sociality is of a definite kind. It is an element of context, which produces some new scientific knowledge. Usually it is not easy to single out the context from empirical reality, which is infinite and any part of which, if you want, can be combined with any element of context. I would like to emphasize what to my mind are some important points in the interaction of, оn the one hand, context and its product, scientific knowledge, and on the other, reality. First of all, elements of context are not the combination of something, which is not in some way connected with human being and his activity. If we deal with science, some parts of its history may be included in the context not as anything from which our contemporary knowledge was deduced, but as our possible interlocutor. In the context, understood as a beginning of thought, dead nature and human thinking are not strictly divided. The history of science, at least some parts of it, are present in context, in the space (not in time) around the scientific problem, which we need to solve. As Deleuze wrote, the space becomes more important for logic than time. I think, that when Robert Frodeman calls philosophy a field philosophy he catches an important feature of modern philosophical thought. It is a pity that he does not substantiate (as far as I am aware of his studies) precisely this definition of philosophy. The logic of classical science claims to explain everything as being without presence of a man. In result the world is mute, dead, existing independently of a human. We get such result, isolating from reality some of its properties and ignoring others, which we consider to be secondary and not playing any serious role in the formation of logic. But we can choose other properties, which are not common for everything. On the contrary, they emphasize the individuality of objects and events, but their common properties are perceived as not significant. And it is possible to create another logic, not classical, which will have its own basis in the reality. Two very different, one might even say two opposing logics, in equal measure can be justified by the empirical reality. Fuller pays attention to some features in the scientists’ work, which were not of interest to the representatives of the classical philosophy . On the one hand, many scientists work at the same time, using the same body of knowledge, but, on the other hand, each of them conducts his own research often without any communication with colleagues. There is a common ground for scientific research, but if scientist gets a fundamentally new result, he goes beyond the general rules. In this case he has as a basis of his reasoning the conditions under which the discovery was made, the context peculiar just to this act of creativity. Proponents of social epistemology use this second type of thinking. Classical science considers the surrounding world as something that must be object of study, which remains the same after the process of its investigation. Different scientists in their laboratories can receive different results, but only one of them is true. The reason is that the object is the same, it cannot change. It is indifferent to the scientist activity. Is it possible, that one object has several true results of its investigation? It is impossible, relativism is inevitable in this case. I would like to draw attention to one of possibilities of interpreting our attitude to the world around us. Usually when we say that it exists independently of us, we have in mind that our philosophical and scientific knowledge testifies to this. As a basis of this idea we have the conviction that thought and object are separated from each other. We introduce this idea from the outside into our picture of the world, where we isolate those of its properties, which are subject to mathematical processing. We create mathematical natural science. I want to emphasize that it is man who creates reality of a certain type, he is its author and cannot be eliminated from it. The world around us is always greater than the totality of those features that are present in the philosophical system or fundamental scientific theory. After all, an ideal design cannot operate with an infinite number of elements, but, nevertheless, it explains everything. Steve Fuller (and not only he) writes about things which are really included now in the philosophical problems and which are very far from any theoretical both scientific and philosophical knowledge. For example, a butterfly flies and a leaf falls from a tree not at all strictly according to the laws of Newton. How is it possible? In classical science everything that violates logical laws is not taken into account. And we cannot say that in classical science the world is presented to us as it is in itself. However in no classical science we deal rather often with such an attitude of scientific knowledge to the empirical reality, which serves the reason to blame it in excessive empiricism. And this difference between classical and non-classical science is very important. Wittgenstein said that if you cannot say something logically, better not to say anything. Wittgenstein’s idea was that thinking cannot go beyond logic to reality. So, reality can serve as a basis both for classical and non-classical science. In both cases the logic of scientific knowledge will apply equally to the world as a whole, but not only to any part of it. Classical scientific thinking does not deny the existence of individual, special properties of objects and their interaction with each other in the world around. However, these properties do not play any role in the formation of logic, they are ignored. Of cause, to ignore something you need to see it, you need to know what exactly you should to ignore. But for the classics it is important to discover and know the properties common to studied things, which can be subjected to mathematical analysis (mathematical natural science). If any random properties of things, including those related to the research activity of the scientist, fall into the result obtained, then this circumstance makes knowledge not objective and its truth is doubtful. As a result the proponents of classics consider to be acceptable only the interaction of man and the world around him, which is devoid of any features that connect it with human and its activity. They deny any logical significance of social epistemology. Meanwhile the position of social epistemology is quite different. Its representatives do not consider classics as to be wrong and already unnecessary to anyone. Even more. They need it as a possible interlocutor. This became apparent in physics already in the beginning of the last century during the scientific revolution and then in philosophy. It is no accident that the notion of the scientific revolution almost completely disappeared from the works on the philosophical analysis of science. Social epistemology does not need to destroy its predecessor. In the philosophy of our days we do not have only one subject, who constantly perfects his knowledge, striving, like Hegel, to the full identity of thought and the material world. Such concepts as case studies, scientific community, laboratory become familiar. In every community of one kind or another there is a common ground, but at the same time each scientist is working independently (recall the definition of social epistemology by Fuller). And when a scientist comes up with a new idea, his thought has its own beginning in the context, which contains different elements, and among other things the process of birth of a new result. So, every new result has its own beginning and the way to this result with all the individual characteristics of the author of the discovery create an ideal image of the surrounding world. Social characteristics are very changeable, and every movement of thought in the head of a scientist creates his own image of the object of study. If this identity transforms the radically accepted image of the studied object, we have a scientific discovery. In the beginning of the thought there is no well-defined border between thought and reality. Opposition of the ideal and the material is absent. The concept of interaction is very different in this case. Every new fundamental discovery has as its basis a context, the elements of which are chosen from empirical reality. This, however, does not mean that a truly fundamental system, for example, classical or non-classical logic, is concerned only with a part of the world around us. Any logic has the property of universality. If some elements of the world are built into the context, the others have to do with it as missing. Mamardashvili said (and it sounded very strange in those distant years) that all fundamental theories have the same basis in reality. One can understand his words in such a way that the whole world enters the fundamental logical system (in this its similarity to any other logic is), but not all of its components are equivalent. In one way or another logic is immersed in empirical reality, and we cannot agree with Wittgenstein that this is impossible. In non-classical thinking empirical reality is not somewhere beyond our philosophical discussions, but within them. And scientific research is not outside philosophy as a matter of philosophical analysis. Already scientific research itself combines philosophy and science. Absolutely different attitudes develop in the scientific policy, it is necessary to take into account that the difference between the fundamental and applied sciences disappears. National, cultural characteristics of peoples are brought to the forefront in interstate politics. The fact that such concepts as the author, the beginning of thought play an important role, brings science closer to art. Artificial intelligence poses the problem of the formation of a new type of man. So the turn of thinking, its direction from nature to the human world leads to very serious changes, requiring its special study. Fuller, Steve. Social Epistemology. Indianapolis: Indiana University Press, 1988. Any philosophy deals with the thinking of a person who plays, however, not the same role in different philosophical systems. In classical science, everything connected with man and his activities is eliminated as far as possible from the result, knowledge will be true only in this case. Social is understood as external factors, not related to the logic of knowledge. In quantum physics, it has been shown that it is impossible to eliminate everything connected with the scientist and his activity from the result obtained. Philosophy developed accordingly. Scientific research is oriented not on nature, but on human and on his world. In my commentary, I tried to show the importance of this turn in the thinking of the 20th century, its importance for both philosophy and sociology, the difference between which ceases to be significant. As for Bukharin and Bernal, I did not study their works, but I think it’s not hard to guess that your position is close to their views.